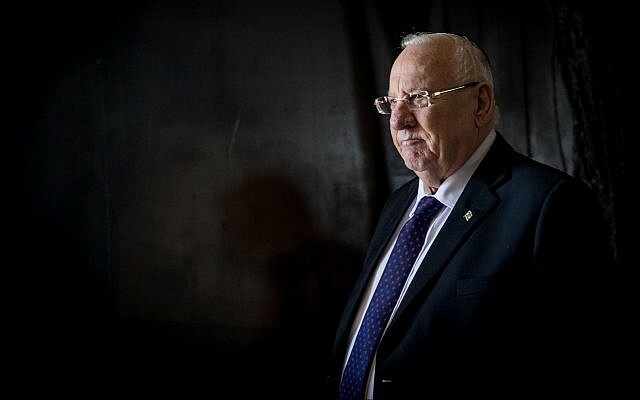 Rivlin’s tweet came after Yad Vashem, Israel’s official Holocaust memorial museum, issued a statement earlier Saturday admonishing Bolsonaro. “It is not the place of any person to determine whether the crimes of the Holocaust can be forgiven,” the museum said in a statement. Also criticizing Bolsonaro was the chairman of Shem Olam, a Holocaust education group in Israel, who accused Israeli leaders of not speaking out vocally enough against anti-Semitism and distortions of the Holocaust. “For years, the State of Israel has shown a dangerous forgiveness toward opinions, actions and leaders who gave a place of honor to the new anti-Semitism and normalized a forgiving attitude toward the Holocaust,” said Rabbi Abraham Krieger, according to the Ynet news site. “The harsh words by the Brazilian president are a continuation of this. [We] must condemn his words, but also perform a a self-examination of how we got here,” Krieger added. 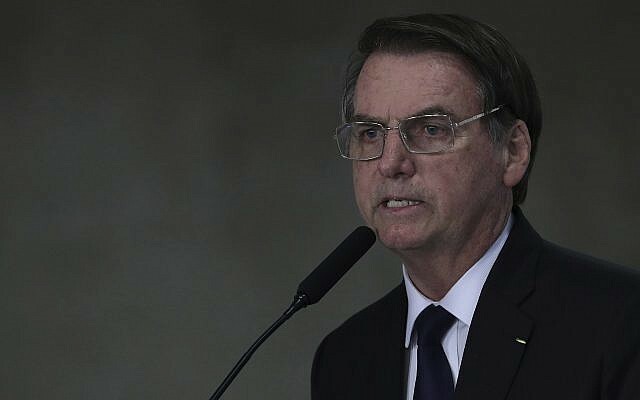 The far-right Brazilian leader made the comments Thursday night at a meeting with evangelical pastors in Rio de Janeiro. He was applauded by those who attended. Israel’s Foreign Ministry has made no comment on the matter so far. 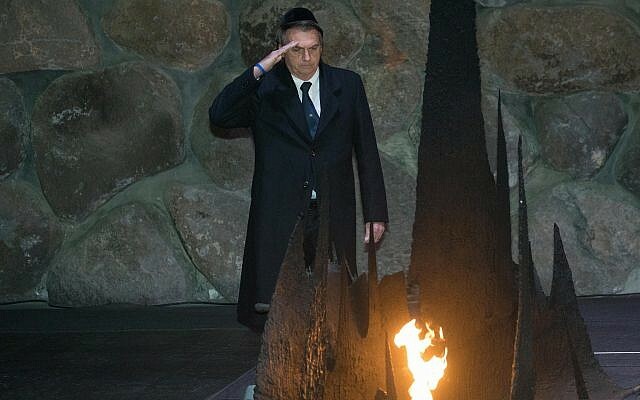 On April 2, Bolsonaro visited the Holocaust memorial in Jerusalem alongside Prime Minister Benjamin Netanyahu. During that visit, the Brazilian leader labeled Nazism a leftist ideology, a claim rejected by historians. Netanyahu has eagerly embraced the newly-elected Bolsonaro, who has found common ground with the prime minister’s right-wing government. His outspoken support for Israel has also played well to his evangelical base. Netanyahu traveled to Brazil earlier in the year for Bolsanaro’s inauguration and the Brazilian leader then came to Israel in a high-profile visit just days before Israel’s elections, in a move many said was designed to bolster Netanyahu’s election chances.